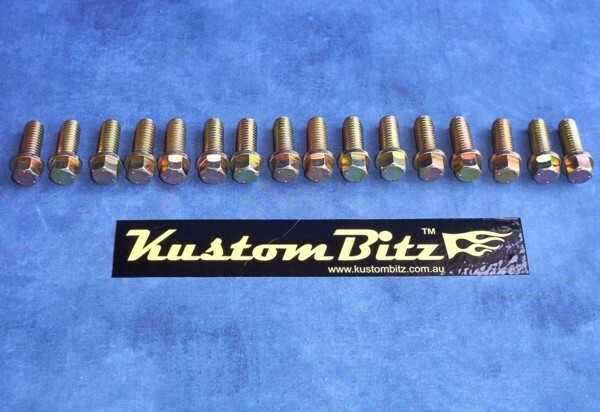 Part# FDW-EXTR-Zn - Ford Windsor V8 standard type Grade 5 header bolts with yellow zinc coating. This exhaust header bolt kit will suit all 289, 302, & 351 V8 engines. This bolt kit comes 16 x bolts to enable you to bolt typical aftermarket headers [with a flat 3/8 thick flange] to a Ford V8 engine.